Rob Orr works with adults over the age of 18 years and couples. I believe that the most effective therapy takes place in an environment which combines both a supportive and understanding relationship between the therapist and client, as well as a clear understanding of the outcomes the client wishes to achieve. As well as dealing with the specific issues they bring into therapy, my clients also increase their belief that they can make choices which affect the course of their lives in a positive way. Clients are gently challenged to make those choices. My style of interaction with clients is warm and collaborative, following a client-centered approach. I seek first to understand, and then together with the client, tailor individual solutions utilising best practice treatment strategies. Rob is a Registered Psychologist with a Masters Degree in Clinical Psychology (South Africa). He is a member of the Australian Psychological Society (APS), and is registered with the Australian Health Practitioner Regulation Agency (AHPRA). 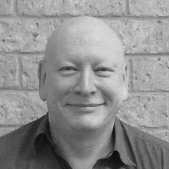 Rob has a background in client centered Psychology, and uses approaches including Cognitive Behaviour Therapy (CBT), Narrative Therapy, Dignity Therapy and Acceptance and Commitment Therapy (ACT). Rob views liaison with other health professionals as extremely important, as this provides a cohesive approach which is in the best interests of the client. Rob qualified as a clinical psychologist in South Africa, and currently holds registration as a psychologist in Australia. He has over 30 year’s experience as a clinician, having worked in private practice, government organisations, and disability support organisations. Rob is fluent in English and Afrikaans. To find a psychologist or to book an appointment time with Rob Orr, contact us today.